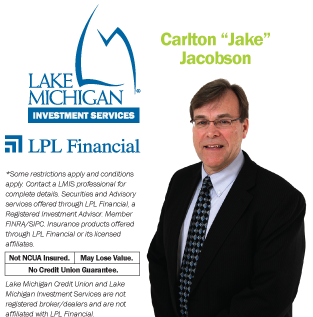 Carlton Jacobson has 15 years of financial experience and has earned Series 7 and 63 registrations held through LPL Financial. Jacobson was also a small business entrepreneur for 14 years as managing owner of AJ Decorating Center in Portage, MI. Feel free to contact Carlton anytime with questions, plans or concerns at (269) 978-6127 or (269) 998-3636.